Did you know that the first organ to form in the human body is the brain and the spinal cord ? That means that everything else in the body that is created after this is controlled by the brain and the nervous system, that must make it pretty important right ? Yes ! that’s why we need to make sure we look after it. Your brain is protected by the skull and your spinal cord and nervous system are protected by your spine. Your spine is made up of multiple bones called vertebrae with discs in-between them allowing nerves coming off your spinal cord to exit. Sometimes the joints on these vertebrae , the facet joints can become injured and actually affect the nerves exiting at that level causing pain , stiffness , decreased function and decreased healing. Ever suffered with back pain, neck pain or headaches ? 90% of the time its probably coming from an injured facet joint due to such things as a road traffic accident, sporting injuries , poor posture and sitting at a desk. Getting your spine checked by a chiropractor means they can tell if you have injured facet joints or what Chiropractors call a subluxation and can perform specific, gentle chiropractic adjustments to the spine to help your body heal these injuries relieving pain, stiffness and lack of mobility. Did you know that sugar is just as addictive as cocaine and could be causing you to experience headaches , have trouble concentrating , struggle with poor energy and be causing you to put on weight. Eating sugar affects your blood sugar levels , your blood sugar should naturally deviate above and below the norm depending on what foods you eat. However eating high GI foods such as cakes , biscuits , chocolate , sweets , bread and pasta could cause your blood sugar to raise significantly above the norm and then crash significantly below the norm causing you to crave sugary foods but cutting out sugar including naturally occurring sugars like those in fruit for just one week can allow your blood sugar levels to start to normalise and start to minimise cravings. What is Gratitude ? Gratitude is taking the time to appreciate what you have in your life. Being grateful for even the little things in life can lead to improvements in emotion, our careers , our social life and even our health. Gratitude can actually improve happiness by 10% which is the same improvement in happiness as doubling your income. It can also improve sleep quality by 25% and decrease pain by 10% . Just taking as little as 5 minutes a day to be grateful for what you have can make these difference so why not give it a try we recommend using this 5 minute journal ! 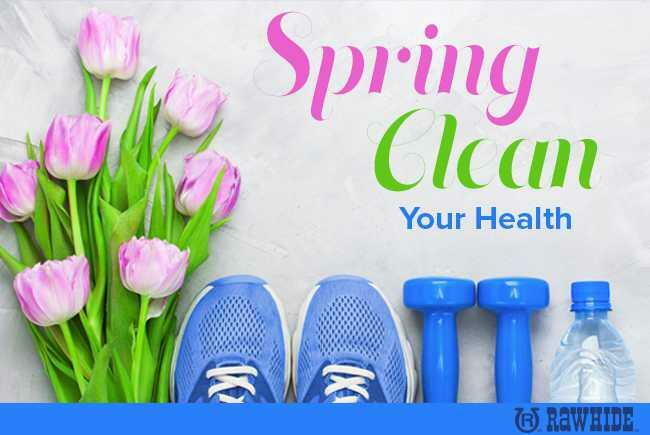 To help you Spring Clean your health this April Pure Wellness Center are offering you a full health check covering 20 different health parameters at 75% off for only £39 – to book yours follow the link below or call 01202 463 405.